Hereditary Review: Tense and paranoia inducing story that doesn't let you look away – AiPT! Hereditary will be a movie talked about for years. Aside from John Krasinki’s A Quiet Place, 2018 has not been great for horror movies. Insidious: The Last Key was boring while Blumhouse’s Truth of Dare may end up being the worst movie of the year. 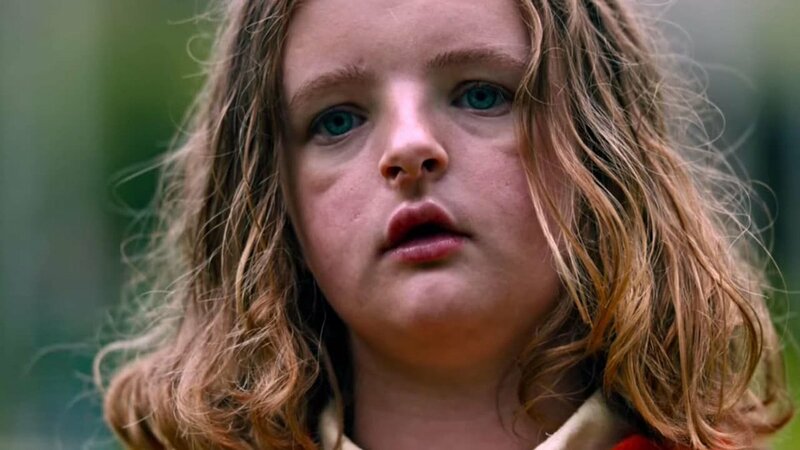 Will A24’s Hereditary be the movie that finally appeases horror fans, or will it fail to live up to its promising trailers? Highlighted by Toni Collette’s stellar performance as traumatized mother Annie Graham, the acting in Hereditary is amazing. Annie is a blur of emotion whose only constant is despair. Annie goes from incredulous silence to delivering powerful monologues and Collette commands the screen at each moment. Annie’s desperation is palatable and it is impossible to not feel pity and be scared of her at the same time. This is the definition of an Oscar worthy performance. Gabriel Byrne does his best to keep pace as Annie’s beleaguered husband, Steve. At the beginning of the movie Steve is patient and eager to do what it takes to makes life easier for his wife. As Hereditary progresses, Steve finds it more difficult to deal with the situations that arise. Byrne does a great job of showing the pain of slow mental deterioration. As is the case with most horror movies, lighting and sound are important in Hereditary. Both add to the movie’s atmosphere with sound being especially important. The audience is constantly kept on edge not so much by the musical cues that are common in the genre, but by normally unimportant sounds. The camera work is also impressive and draws the audience in or leaves them disoriented as necessary. The highlight of Hereditary is its well told story. The movie is a multilayered tale that installs a sense of tension from its opening shot. The audience learns immediately that something is wrong. As the characters’ backstories are revealed, it becomes apparent that something is always wrong. There is no wasted movement and everything adds to the sense of dread. The writing also fills the movie with a paranoia that is impossible to shake off. It seems like every character is part of a greater plan. There are never any particular actions or comments that cast doubt; the film does a wonderful job of creating the mood. The paranoia is not limited to whether a person has questionable motives. There are times Hereditary will have the audience questioning what a character is thinking or seeing. It is an unnerving feeling to watch a movie and not know who you can and cannot believe. The movie does such a great job of instilling paranoia, I began to question if I was being too paranoid. The story’s pacing is impeccable. Hereditary is a movie that has a story to tell and does so without wasting time or feeling rushed. Ultimately, this is a tale about dealing with grief and the first two acts do a wonderful job building the world and its characters. The film never speaks down to its audience and the only questions are the ones you are supposed to have. The third act is downright terrifying leading to an unbelievable finale. Hereditary is an amazing movie bolstered by the outstanding work of its cast and expertly told story. This is a horror movie that does not rely on jump scares and instead uses real horrors like grief and distrust to frighten people. Hereditary has everything it takes to be an all time classic. This is a movie that is meant to be seen with others in a well lit room. At times the third act is so scary it tests your courage. There are some horror movie tropes the movie overcomes but some will not like.